Was watching the news one night, and they had a segment, about how to get children to eat more greens. The lady they were talking to, said she makes a simple kale salad, with lemon and parmesan cheese…and gets the kids to make it. I’ve bought a few kale salads from various places, and thought I’d finally make it myself, since it would be way cheaper and looked easy enough. So in my version I used olive oil, red wine vinegar, grated parmesan and dried cranberries. Thought it turned out pretty good, and will definitely make it again. 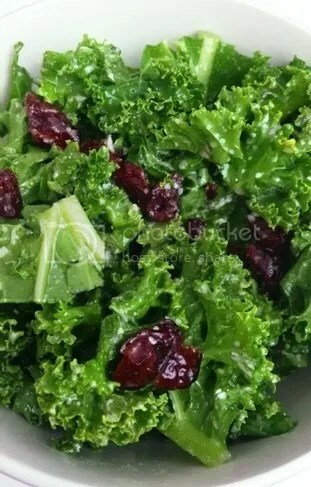 What varieties of kale salads have you made? Would love to hear about them! !